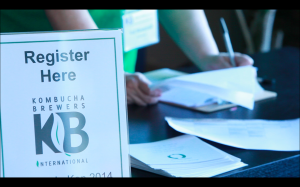 When KBI first started with 40 members, we knew we wanted to create an organization that is inclusive and welcoming to everyone who shares the same passion for brewing Kombucha commercially. Six years later we can now boast a membership of nearly 300 members around the world; an increase of 750%! To keep up with our rapid expansion, we have added new staff to help manage the email inquiries and numerous issues and tasks of promoting and protecting Kombucha worldwide. To reflect how much we’ve grown, we are making changes to our member tier structure. The first major big change is that the Brewery in Process (BIP) membership will be decreasing from $995 to $395. From the onset of that tier level, it has been KBI’s desire to lower the cost for BIPs and now that we have additional administrative support from our Administrative & Development Manager, we are happy to announce that as of October 1st, BIP pricing has been reduced by $600! We hope that will help fledgling and potential new brewers find the support and resources they need to launch their brands. We also recognize that there is quite a difference in a brewery that produces 25K gallons of Kombucha a year versus one that produces 100K gallons a year, so a new tier has been added. We also know that as our industry grows, “a rising tide lifts all boats.” This means those who are at our top tier, Tier 4, will be paying higher dues. As we’ve offered in the past, if anyone would like to pay their dues in advance, we will accept dues at the old rate through November 15th. If you’d like to take advantage of this offer, please email Kevin at info@kombuchabrewers.org. Paying dues in advance will extend your membership by one year from the date you joined. Subsequent years will be charged at the new tier structure rate. The presentation will discuss some of the challenges involved producing a beverage that is authentic, has great flavour and of course meets legal requirements on a commercial scale. The Flavourtech Spinning Cone Column will be explained in detail and some of the approaches taken to alcohol adjustment in the Beer and Wine industries discussed. The Challenges and Constraints in Scaling Up: Some of the challenges involved in producing a beverage that is authentic, has great flavour and of course meets legal requirements on a commercial scale. Introduction to the Spinning Cone Column (SCC): The Flavourtech Spinning Cone Column will be explained in detail and some of the approaches taken to alcohol adjustment in the Beer and Wine industries discussed. 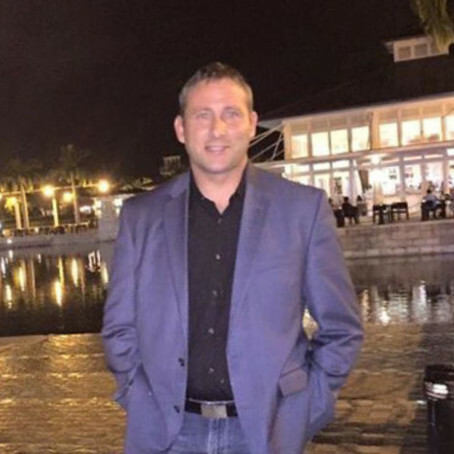 Aubrey Dyer spent 20 years in a range of technical and commercial roles in the New Zealand Food and Beverage industry before taking responsibility for the Americas Region for Flavourtech in early 2011. Since then he has worked closely with many premium food and beverage companies, assisting them to develop and produce market leading products with Flavourtech’s processing technologies. Flavourtech has been in business for over 40 years with extensive expertise high-quality in flavour, alcohol, tea and coffee processing. 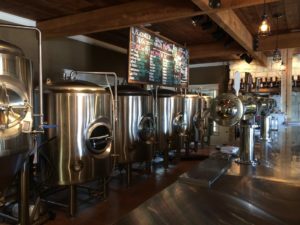 Beyers Analytical Brewing Sciences, LLC (BABS) is an analytical laboratory based in Fort Collins, Colorado that is dedicated to performing chemical and microbiological measurements for kombucha, beer, spirits, wine, and coffee producers. The analysts at BABS are certified beer chemists with the Alcohol and Tobacco Tax and Trade Bureau (TTB) and are qualified to provide accurate measurements of components within beverage products. BABS provides education for kombucha producers regarding analytical techniques that can be used to monitor their products. We are often asked what methods can be used to monitor ethanol in kombucha. The low level of ethanol required for non-alcoholic kombucha necessitates quick, affordable, and reliable testing that can be used to measure levels at or below 0.5% alcohol by volume (ABV). This study presents a comparison of four ethanol measurement technologies for the kombucha industry. Eight off-the-shelf kombucha products were analyzed in a blind test for ethanol content using gas chromatography (GC), an OptiEnz Sensors ethanol sensing system, an Anton-Paar Alcolyzer, and distillation paired with an Anton-Paar densitometer. The table below presents the advantages and disadvantages of each ethanol measurement technology. These items are worth considering prior to using commercial laboratory testing or purchasing an instrument as part of a quality control program. Average ethanol measurements for each kombucha sample and performance statistics for each technology are presented in the table below. concentration for calculations of accuracy in this study due to the technology’s widespread use as a “gold standard.” However, high upfront costs, high maintenance costs, complicated procedures, and long measurement times prevent most kombucha producers from using this technology at their facilities. The OptiEnz Sensors ethanol sensing system is more affordable than GC and the Anton-Paar. Alcolyzer, is easier to use than GC, and has one of the shortest measurement times of these technologies. This technology provided ethanol measurements in kombucha that most closely matched GC measurements. The Anton-Paar Alcolyzer is the easiest technology to use, provides short measurement times, and is more affordable than GC. Ethanol measurements made with this technology were precise, but consistently lower than GC measurements. Distillation has a low upfront cost, very long sample preparation times, and requires higher-level technical training. Ethanol measurements made with this technology were consistently lower than GC measurements. All the tested technologies are capable of measuring ethanol at concentrations found in kombucha, but the advantages and disadvantages of each method need to be considered when implementing a testing program. Proximity to the threshold concentration of 0.5% is also an important consideration. Any instrument is only as good as the operator running it. Training, accurate standards, and quality control are required to achieve reliable measurements. Headspace gas chromatography – flame ionization detection (HS/GC-FID) measurements and sample preparation were performed using AOAC methods for determination of ethanol in kombucha (AOAC 2016.12). Analysis was completed on a HP 5890 Series II gas chromatograph (four measurements per sample) with a Restek Stabilwax-DA capillary column using nitrogen as the carrier gas, and resolution of methanol, ethanol, isopropanol, 1-propanol, and acetone was possible using this setup. A calibration curve was constructed using Cerilliant ethanol standards purchased from Sigma-Aldrich. Ethanol measurements were performed using an OptiEnz Sensors ethanol sensing system. The instrument was calibrated over 10 minutes using prepared ethanol standards. Ethanol measurements (six measurements per sample) were made by diluting 0.1 mL of sample into 50 mL of buffer, immersing the sensor probe into the dilute solution and allowing the system to stabilize for three minutes. Density and Alcolyzer measurements were performed using an Anton-Paar DMA 4500 M-EC with Enhanced Calibration for Ethanol paired with an Alcolyzer Beer ME module and Sample Handling Unit (Xsample 22). The instrument was calibrated with degassed, deionized water and achieved a density measurement of 0.99820 ± 0.00001 g/mL at 20ºC. Sample analysis (six measurements per sample) was performed by pumping 40 mL of sample through the system, bringing the sample temperature to 20.00 ± 0.01°C, and then collecting density and Alcolyzer measurements. Kombucha samples (100 mL per sample) were distilled according to the TTB-recommended distillation-specific gravity method (AOAC 935.21). Density measurements (one measurement per sample) were made using the Anton-Paar densitometer. Dues Increase October 1 and Early Renewal Offer! As the kombucha industry continues to grow, so too do the needs of the membership. Poised to crest $1.8 billion dollars in gross sales by 2020 according to some projections, our industry has consistently demonstrated rapid growth, stimulated by the stability brought to the marketplace through the formation and actions of Kombucha Brewers International. Since 2014, KBI has established kombucha industry Best Practices, spearheaded a new ethanol testing method that more accurately reflects the complexity of kombucha, developed the KBI Verification program (launching June 2016), created new resources for new brewers just entering the industry with our Brewery in Process membership and resources, lobbied Congress for governmental support, gathered annually at KombuchaKon for education and networking, and launched a new educational webinar series. We have done all of this great work with the help of volunteers and through the financial support of member dues. This year, we hired our first full-time employee – an important step forward in building the organization. As such, it is now time for us to increase the due structure so that we can continue to offer quality programs and support to kombucha brewers around the globe. The new rates reflect the growing role of the organization and its advocacy, as well as the continued generation of valuable member resources. 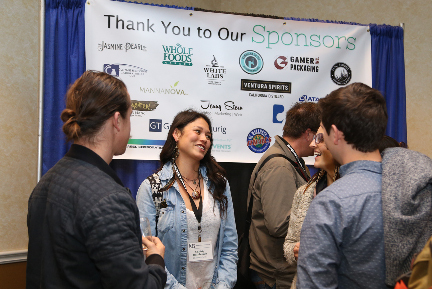 The benefits of membership remain the same and include discounted admission for two attendees to the world’s only kombucha conference (KombuchaKon), discounted educational webinars, and access to the member forum which is bursting with resources and valuable information. Learn more about joining KBI and our member types. At this time, KBI is pleased to offer current members the opportunity to renew dues early at the current rate before the increase (note: payment must be received in full by September 30, 2016 in order to qualify for this offer). Early renewals will extend membership one year beyond current expiration date; for example, if your current membership expires in February 2017, renewing now will extend it to February 2018. Please email us to take advantage of this offer now! Not a member yet, but want to join before the rates increase? Join KBI here! Kombucha Brewers International announces the formation of a new membership category: BrewPub Members. In order to qualify under the BrewPub designation, members must already have an operational kombucha brewery actively serving flavors on tap to retail customers. Alternately, BrewPubs can be a licensed beer brewery that also brews and sells kombucha. The BrewPub designation is priced in the same tier structure as the current member categories, and is measured by annual gallon output. KBI added this additional type of brewery qualification due to shifting member makeup and interest from BrewPub potential members who did not feel their products fit into the previous levels of KBI membership, according to KBI president Hannah Crum. While other brewer members must demonstrate that their products are sold in five or more retail locations, BrewPub members must present a copy of a business license showing active status and the physical address of the BrewPub where kombucha is sold on tap to retail customers. KBI reports that it looks forward to expanding the organization by offering its services to another type of client, effective immediately.